BucZone.com • View topic - Who do, and When it be? Who do, and When it be? Outside of the QB clusterqueef, the biggest thing that the pundits seem to be talking about is the fact that we haven't had a 10 sack guy since Simeon. In 2005. That's 13 years. So, looking at what we have so far, what do you think? Will it happen this year? If so, who and when? If not, how many more years do you think the drought will last? Re: Who do, and When it be? My pick is that somebody does do it this year, just because I feel like betting on something good happening, and looking at this roster I only see one legitimate possibility. By all accounts he's come into camp on fire, and with a legit line around him I'm down with JPP. Week 14 (game 13), at home against the pass-happy Saints. I like JPP to get to 10.5 this year in week 16. Gmac has been a perennial 7-8 sack guy while playing with NO help along the Dline (thus getting double teamed every snap) for a team that rarely has 4th quarter leads when premier pass rushers pad their sack totals. With JPP and the help at DT w/ Allen/Vea I think McCoy will see alot more single blocks than ever before in his pro career. There are not many Guards in the NFL that can hold up vs McCoy 1v1. Work web blocker denied. Lemme guess...... A JPP/Happy Gilmore meme of some sort? Umm .. yes - JPP - game #12. 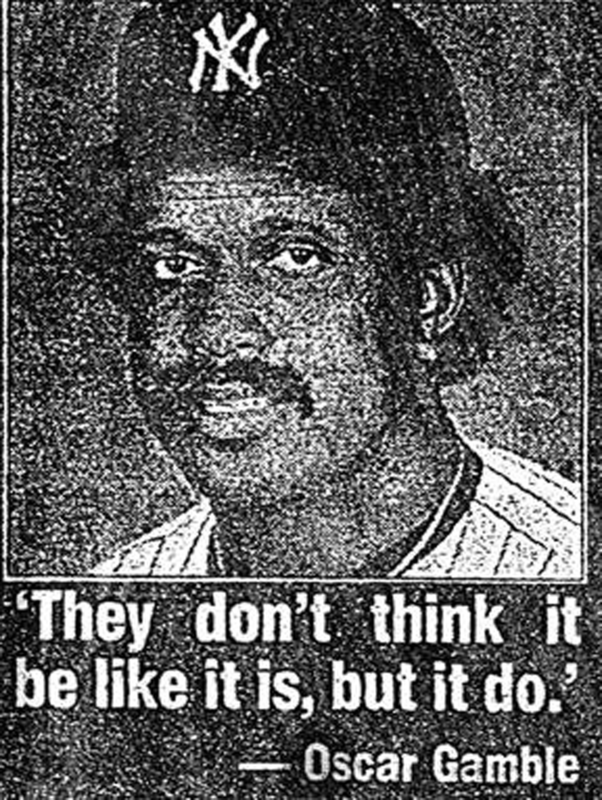 A picture of Oscar Gamble's great quote, "They don't think it be like it is, but it do." DreadNaught wrote: McCoy in week 15. Noah Spence bounces back and gets to 10 sacks by week 13. JPP in game 15. Looking good so far in camp. Oh come on man. Year in and year out we have brought in the help for McCoy. It's time for you to realize that he's just not that good. He will never be the 10 sack guy you were hoping for. When JPP breaks 10 it is not due to McCoy, it is due to JPP. Give it up already! no knock on JPP, but we never have any luck with FA guys. Stuart wrote: no knock on JPP, but we never have any luck with FA guys. If you had never read another one from these guys, these two posts would tell you all that you need to know. I realize you're the notorious G-mac hater ever since he was drafted. I commend you for your consistency atleast. I still remember some of your great takes like "Lamar Houston would be better than McCoy". In McCoy's entire 9 year Bucs career please name the top 5 Dlinemen the team has surrounded him with prior to this season? Now compare that list with the the group of Dline we added this offseason. We agree JPP is a good player. I also curious as to how a defensive tackle not getting 10 sacks equates to a defensive tackle not being good. In completely unrelated news, I was just browsing stats and found this: Did you know that Lawrence Taylor never led the league in interceptions? NOT ONCE! Blew my mind. Ok, captain Obvious here...DT's dont normally get 10+ sacks a year. But obviously McCoy and JPP are the best bets, but I think both will be around 8 sacks or so. Can you just imaging getting 16 sacks out of just 2 defensive linemen? I was curious when that last happened on a Bucs defense. I had to go back to the 2005 season (12 seasons ago) when we got 17 sacks out of just 2 DLmen (Simeon Rice with 14 / Dewayne White with 3). I think 8 sacks each is reasonable if both stay healthy- though McCoy usually misses a couple games at least per year. 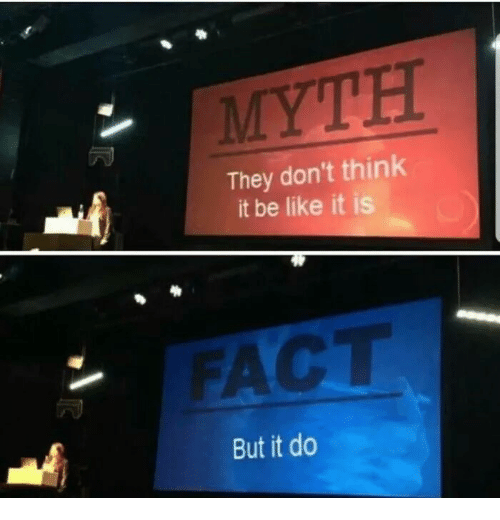 Your post had the opposite effect on me from what you intended, I think. If McCoy + Jac Smith, Ayers, or Clayborn can almost get us there, I think JPP + McCoy will for sure. nobody is going to crack 10 sacks this year. i just expect it to be spread out amongst many. This mother ****er said Noah Spence. Terp wrote: This mother ****er said Noah Spence.